After over a year of restoration, the 28 marble steps were unveiled Thursday. 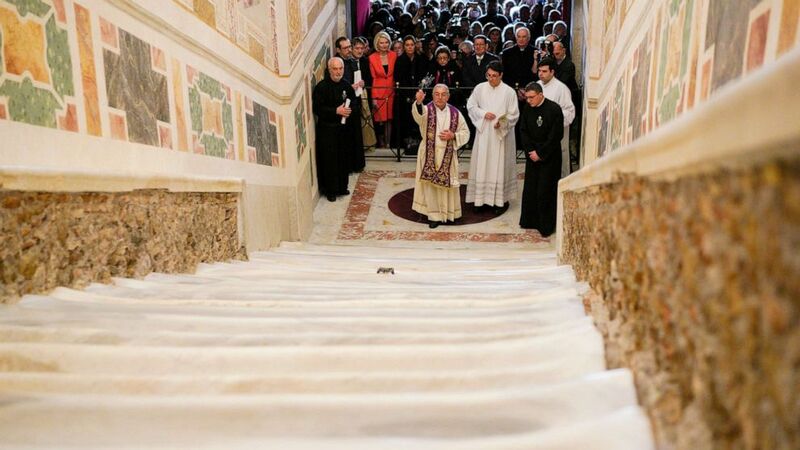 After more than a year of restoration, the 28 steps that make up the "Scala Sancta," or Holy Stairs, of the Pontifical Shrine in Rome were unveiled on Thursday, just in time for the thousands of people who will flock to Rome and the Vatican for Easter. 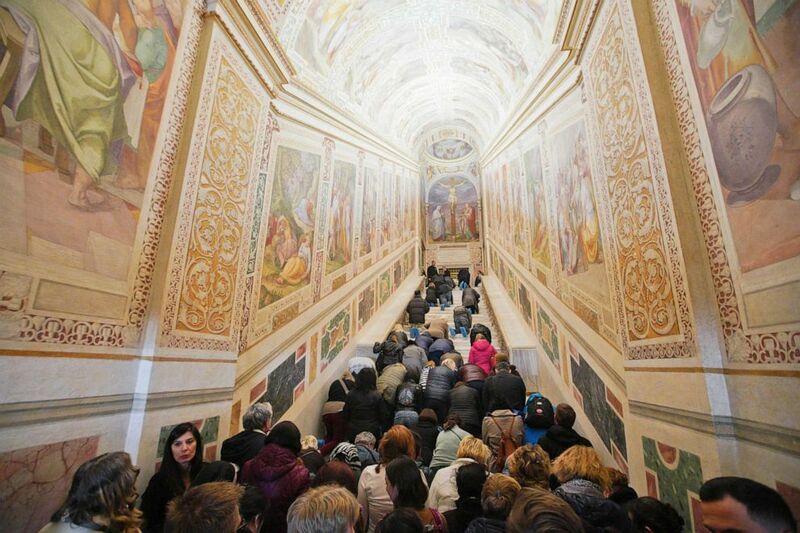 (Andrew Medichini/AP) Faithful kneel on the newly restored Holy Stairs during a special opening, in Rome, Thursday, April 11, 2019.